Meet Personal Injury Attorney Cara Gallucci, ESQ. Meet Managing Personal Injury and Disability Attorney Cara Gallucci, ESQ. With over two decades of professional experience, today Cara works tirelessly to help get her clients the compensation they deserve. That same dedication is also reflected in her staff who put customer service first and work hard to give each individual the attention they ought to have. Attorney Cara Gallucci oversees the Woonsocket, North Smithfield, Attleboro, Brockton and Taunton offices of d’Oliveira & Associates. Suffolk University Law School, 1991. My Paralegal, Kristen and Attorney Cara Gallucci were excellent at handling my case. They made sure to keep me informed every step of the way. They were courteous, professional and handled the case in a timely manner. Any time that I had a question or concern, I always received a prompt, thorough response. This is my first experience with having a case and settlement. I could not be more pleased with the outcome. If I should need legal services again, I’ll be keeping their number handy. Thank you! When I was in law school, I had a job at a very busy personal injury firm in Cambridge, MA, and assisted with workers’ compensation and automobile accident litigation cases. It was a great introduction into the legal profession. After taking the bar exam, I began my career in the Law Clerk Pool for the Rhode Island Supreme Court, and was assigned to the District, Family and Superior Courts. After that year clerkship, I worked for an insurance defense firm in Providence for 3 years, then came to d’Oliveira & Associates in December of 1995. My law school job helped introduce me to the field of personal injury law and opened my eyes to the needs of clients who have suffered injuries that prevent them from working and going about their daily activities. Once I started at d’Oliveira & Associates, Paul d’Oliveira trained me in the methods that I use today to review cases and prepare for hearings or other matters. He taught me that detail truly matters in every aspect of the case, no matter how minor the detail may be. 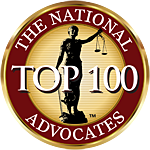 This training, as well as many other attorneys who were generous with their time and advice, have helped me to know how to advocate for my clients to get them what they deserve. Hectic! Some days I have hearings that take me away from the office, so work will be conducted remotely those days, attempting to return calls and work on cases. Most office days involve meeting with or speaking with clients, speaking with adjusters, scheduling hearings, reviewing medical records and case law, and writing memorandums. I attend social security hearings in either Boston, New Bedford or Providence frequently, or mediations or arbitrations in the greater Boston or Providence area, or attend hearings in the Superior or District Courts in Rhode Island or Massachusetts. I really enjoy knowing that I have helped someone get through a problem, whether it is getting them approved for Social Security Disability benefits, or getting a liability problem in a car accident squared away, or getting them a good settlement from an auto accident. A big challenge is getting a younger person approved for Social Security Disability benefits. It is quite difficult based on certain rules in the Social Security laws, but deserving clients, at any age, usually will be approved. We are prepared to fight for you, whatever it takes. Our attorneys are diligent advocates with the knowledge and understanding of how to successfully resolve personal injury and social security disability claims. A car attempted to turn and caused a collision with our client on his motorcycle. As a result, he sustained a fractured shoulder, injury to his hands, bruised ribs, fractures and cuts to his face and pain all over his body. A woman was injured in a car accident when she was rear ended by a driver in stop and go traffic. As a result of the accident, she sustained numerous injuries and required neck surgery. A woman was injured when the car she was riding in was rear ended by a tractor trailer. She suffered severe dental injuries, requiring surgery. A Woonsocket woman was injured after icy conditions caused her to slip and fall outside her apartment building. As a result of the icy conditions she broke her shoulder.